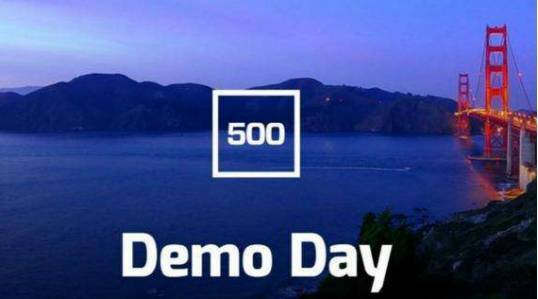 Last week was 500 Startups’22nd Demo Day, here are a few startups that stood out during the day. Having a logical progression path for a career is probably one of the most important tools a company needs in order to hold onto its employees – and it’s one where a lot of companies fail. Africa is one of the most important developing markets in the world, offering a massive opportunity for any company looking to expand – but gathering data on how to get started there is one of the biggest issues, says Mobile Forms CEO Tomi Ayorinde. Companies define the requirements for the research they need and then send it over to Mobile Forms. Then, Mobile Forms will send off the request to a team of thousands of field agents, which will gather the information those companies need in order to make better decisions. Starting in Nigeria, the company said it has generated around $150,000 in revenue thus far. If you have ever had to do an expense report –well, it’s not really a fun experience. That’s where Fincheck comes in, which looks to basically do the second half of that. By tapping multiple data resources, Fincheck in the end shows you a summary of your expenses to take away all the hours you’re probably spending in your expense software. CEO Ruth Polacheck says the company has processed more than 100,000 transactions in its private beta, and it uses a series of algorithms in the back end to basically digitize all those things you’ll accomplish by paging through tabs on your browser dozens of times. If you live in an urban area, or really are just a general human, you might have a problem trying to accrue some savings over time. Victor Trokoudes certainly had this problem- saying that he basically had no savings by the time he was in his 30s. So that’s where the idea for Plum came from. 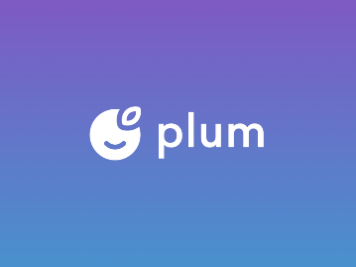 Plum keeps track of your bills to figure out places you can spend less and save more, in addition to learning about your spending patterns. Trokoudes said the app has 50,000 users since launching in January and is growing around 20% month-over-month. Life insurance is always a tricky prospect, especially when it comes to people that might be higher-risk. But even though someone might fall into a “high-risk” bucket, like having Diabetes, Shuo Zhang said that they might not actually be a really high-risk customer. After a customer gets potentially flagged as someone who is high-risk, the insurer can refer them to Mira, which will do a deeper dive to figure out the actual risk profile of that customer. They are then able to get a better deal on their life insurance than they might get right away from a typical insurer who has labeled them as a high-risk customer. If you’re an Amazon Prime customer and you get a ton of packages from them, the anxiety around being there to receive packages –or hope they have not been stolen from your doorstep- is definitely A Thing. So while there have been plenty of attempts to try to figure out a smarter delivery service, such as on-demand startups that might pick up your returns and such, MailHaven is looking to go a little more retro. The Company sells a literal box that goes in front of your home which shipping companies can acces and dump your packages in automatically, as well as pick up packages that need to be returned. It seems like kind of a first-world problem, especially with the price tag of $399 with a $15 per month subion.But as commerce increasingly goes online, something like MailHaven may be the answer to making sure everyone gets their packages on time. 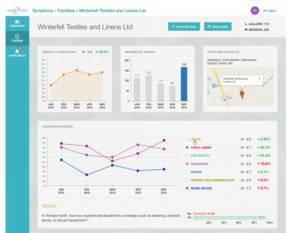 When a clothing brand is looking to spin up its productions, it’s going to need to tap into an array of factories to actually get those clothes made-but it’s not always possible to know the exact conditions of every factory all the time. That’s where laborVoices comes in, where factory employees send information on their working conditions to the service through their phones. Labor Voices then connects with the brands to ensure that everything is operating to their standards. Gill said that brands still spend billions of dollars on inspections and tying to manage their factory supply, but the processes can still be corrupted and unsuccessful. In the past year, LaborVoices has booked more than $600,000 in revenue, he said. You probably dread getting up in the morning and starting off your workday with dozens (or hundreds) emails – and when it comes to trying to find potential customers, you’re fighting for attention with that entire pile of emails. So it’s no surprise that the pendulum has swung back to people getting excited about getting real, physical mail, and businesses are catching on to that. Sendoso gives those businesses a way to send actual stuff to potential clients, customers, or anything along those lines as a way to get their attention. Businesses can go through Salesforce to figure out how to track and ship something that might pique the interest of a potential customer.